If you’re headed out to the big show (AKA Oshkosh), you’re probably going to bring a camera. If you’re like me - you bring two, and enough gear to kill a pack mule from exhaustion. Bringing the right gear is the key to getting great Oshkosh (or any airshow really) pictures without having to make a chiropractor appointment the Monday after the show. The first question that you need to ask yourself is what kind of pictures do you want to take at the show? Are you just going to be taking pictures of things so you’ll remember them? Do you want to take pictures that you can enlarge to poster size and hang on the wall? Do you want something in between? If you’re not really worried about mega pixels and mega huge camera bags, then I would recommend just toting your smart phone (iPhone or Android) or maybe a simple point and shoot camera. Don’t discount your smart phones camera. It will take great pictures in the sun and if your shooting indoors, make sure you hold it as steady as you can, and leaning up against something solid will help. If you’re taking a picture of something close (say a flyer of the famed fish fry at the seaplane base), don’t forget to switch on the macro mode. A little google search should tell you how to do that with your phone. Most point and shoot cameras have a macro mode as well, it usually looks like a flower and will help the camera focus when you’re taking a picture of something less than 2-3 feet away. Do you wield a camera sometime after your 9-5 boredom? You’re going to want more than a point and shoot, and chances are you own a crop-frame DSLR. These include the Canon EOS Rebel cameras as well as the 50D, 60D, T1i, T2i, T3i and 7D. For the Nikon these include the D60, D90, D300 and D7000. If you own a Canon 5D or 5D MkII or Nikon D700 or D3 these are called full-frame cameras and the discussion about magnification below doesn’t apply to these cameras. DSLR’s are great cameras that take nice pictures on the green square mode and fantastic pictures if you venture off a little into some of the other modes such as aperture priority and shutter priority. I recommend you learn to use your camera in full manual mode first! If you used an old manual film camera back in the day, don’t worry - shutter speed and aperture still have the same effect on the digital sensor. Before I get into the fun stuff like lenses, don’t forget you need to carry all this crap around for a week. Your first investment should be a GOOD camera bag. Buy one that can hold whatever you plan on carrying and then some. Spend some money on it. A cheap camera bag will make your life miserable. Just remember there is a balance between carrying enough gear for a National Geographic expedition, and having just enough to get the job done. I upgraded my bag this past year to an APE Case ACPRO2000. I can’t tell you how much I love this bag. One of the great features is that it has a rain cover that hides in a pouch on the bottom. It has lots of space and tons of places to strap stuff too. It’s tough and I’m sure it will be in use many years from now. I like that I can carry my gear and my laptop/iPad together. Along with my camera bag, I like to have a small hard case that I can throw things into. I use a small Pelican case that’s waterproof and nearly indestructible. Into it I put my memory cards and radio triggers for using the flashes off the camera. No matter what camera you have - and no matter what you want to shoot, you will be in the bright sun trying to see what’s on your LCD screen. I carry a Hoodman Loupe with me. This little gadget presses against the back of the camera and lets you see the LCD screen clearly in the brightest sun. It has optics that let you focus on the screen to meet your eye. One of the challenges of airshow photography is that there are so many different types of subjects! It would be easy to tell you to bring a good telephoto, but then you would miss out on a host of great people and cockpit shots. With a telephoto, forget using this lens in the display areas. But if you have to bring one lens, and you want to shoot pictures of the airshow performances - bring a telephoto. So to cover the bases, you’re going to want to go from wide to telephoto. You should have something that goes out to 18mm and something that goes up to 200 or 300 mm. It’s a good bet your camera came with a “kit lens” like an 18-55 for the Canons and Nikons, so that covers you on the wide end. If you wanted to go with more professional lenses, I would recommend the f2.8 16-35mm L series or the f2.8 24-70mm L Series for Canon, or the f2.8 24-70mm for Nikon. Adding a telephoto like the lower cost Canon 55-250 or Nikon 55-200 is a good choice, or a better lens is the Canon f2.8 70-200 L Series or Nikon f2.8 70-200. The down side is the f2.8 lenses will set you back about $1000 or more than their less expensive counterparts. Let’s talk a minute about sensor size. The consumer grade cameras all have a sensor that is smaller than the size of a frame of 35mm film - they are called “crop frame”. The next step up, or “professional” cameras have “full frame” sensors. This simply means that the sensor is the same size as a single frame of a piece of old 35mm film. What does this mean to you? Well, crop frame cameras have a “magnification factor” usually of 1.5x to 1.6x. This simply means that with a 100mm lens on the camera, the sensor is actually seeing 150mm or 160mm effective focal length. Basically, you get free zoom out of the deal. Well, almost - there are a few tradeoffs but I won’t detail those here. One thing that I also like to throw in my bag is a telephoto extender. You can generally get these in 1.4x and 2.0x powers. What does that mean? A 200mm lens would be a 400mm lens with a 2.0x extender. Remember that crop frame thing? That get’s added on to the the magnification of the extender. So a 2.0x extender on a camera with a 1.6x magnification factor would be 3.6x! In that case your 200mm lens goes to over 600mm! Extensions have another bonus. Most lenses are sharpest around f8. If your shooting airplanes up in the sky on a sunny day, the camera will need to be well above f8 with shutter speeds slow enough to blur propellers (usually 1/125 to 1/250). One of the trade offs with the extension is that it takes a few stops of light - but this works to our advantage. So with the extension installed, you can shoot with slower shutter speeds and at or around f8 where the lens will perform better. Be careful when shooting at long focal lengths (200mm and up). Remember the rule of thumb - your shutter speed should be 1 over the focal length. So 600mm would be 1/600 shutter speed! Pay extra attention to your shutter speeds when shooting uber extended! Bump up the ISO if you have to. You can’t fix blurry. Make sure you throw in your bag at least one flash. My bag now has 5, but I’ve never been considered normal. Using a good external flash (not the crappy pop-up one that comes installed on the camera) will really make the difference, especially in the direct sun found in most places during an airshow. If shooting a person, put their back to the sun and let the flash fill in the dark areas. If you shoot with the flash connected to the camera in TTL mode, it should figure out how much flash power you need to fill in your subject automatically. Flashes make a huge difference when shooting cockpits because the inside of the cockpit is dark and the outside is super bright. If you can, try and bounce the flash by pointing it up or at a 45 degree angle so the head of the flash isn’t directly pointed at the instruments. That will give you less glare and softer light. With every external flash I would recommend at least 2 sets of batteries and a diffuser or three. Diffusers come in several forms, but the type you should start with is a little piece of plastic that slips over the head, making the light from the flash a tad less ugly. A better diffuser is a small soft box sold by Lumiquest and they come in several sizes. I personally use the Softbox II and Softbox III most of the time. I highly recommend a gel kit (the “Strobist” kit from ROSCO is a great place to start). 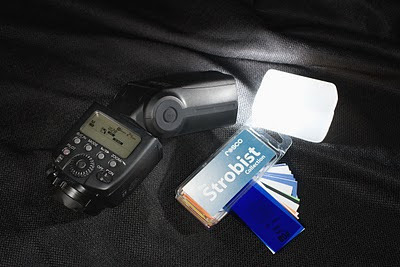 You can use gels to balance the color of the light from the flash. In other words, you can make the color of the light match the color of the ambient sunlight or fluorescent lights to make it less obvious that your image is lit with a flash. To learn how to use gels, check out my favorite blog Strobist.com. Far down on the list is a monopod (ok) or a tripod (better). If you’re going to do any time lapse stuff or video you will definately need a tripod. Monopods are generally useless when trying to shoot moving objects like airplanes, but can be helpful when shooting non-moving objects in low light. If you plan on shooting video with your DSLR a tripod (and a good one) is a requirement. With digital SLR’s, it goes without saying that you will need memory cards. You will either need lots of them, or some way to store the images to a computer or iPad so you can reuse them. I generally bring a laptop and dump the cards at lunch and in the evening. DSLR’s love batteries too. That’s why both my cameras have battery grips. Not only does the grip have an extra shutter button to make it easier to take vertical pictures, they also come with some extra battery options. The grips hold two batteries for that extra battery time when you’re shooting video. The grips hold two batteries, but will run on either one or two batteries. They also come with battery tray that takes AA batteries in case you get caught in a pinch. And don’t forget the chargers for your camera and the AA’s! Another handy thing to have is some way to take notes. An iPhone or notepad will do the trick. Sometimes you will want to write down names or emails and other times you will want to make notes about an image like an N number or other details. Don’t forget the non-photo essentials like sunscreen or sunblock! The sun is brutal at the end of July and its important that you stay protected so you can enjoy the show. Also a water bottle is critical to staying hydrated. By following these tips, I hope you come away from your 2011 visit to EAA AirVenture Oshkosh with many great memories, and of course, many stunning photographs to enjoy for years to come.